Should the EU introduce an extra copyright for news sites, restricting how we can share news online? The controversy around this plan continues to brew – this time in the Council, where the member state governments are trying to find a consensus. The member states have failed to reach an agreement in the Council’s expert group on intellectual property. Now politicians must decide: The issufe is being escalated to the Wednesday, January 31 meeting of the “permanent representatives”, the member states’ ambassadors to the EU. The Bulgarian Council Presidency is pushing what it calls a new compromise, instead of the choice of two options that their Estonian predecessors offered. But upon closer investigation, the “compromise” looks mighty familiar: With exceptions for very short snippets and non-commercial use by individuals, as well as a shorter protection term than the Commission wanted, it looks much like the current German “ancillary copyright”, which almost all experts agree has been an abject failure. In fact, the proposed exception for short snippets would be implemented in a way that would be even more far-reaching than the Estonian proposal: The lack of an originality requirement would mean that unoriginal longer texts published by news sites are covered, such as tables of football results or AI-generated texts, which are currently ineligible for copyright protection for good reason. Bad for Germany – good for the EU? Let’s recap: Years after its introduction in Germany, publishers have yet to make any profit at all from the “ancillary copyright” there. The national association of journalists concludes: “Best to abolish it”. None of the German editors or publishers interviewed for a study conducted for the European Parliament thought the extra copyright for news sites was a good idea. The study found “little evidence that declining newspaper revenues have anything do with the activities of news aggregators or search engines”. The German right turned out to be economically worthless, a study by the Commission’s Joint Research Centre concluded. Empirical evidence showed that newspapers actually benefit when platforms promote links to them using snippets of their content. The lobbyists’ plan all along? This is what the German publishers, the main lobbyists behind this whole project, wanted from the start: To make the German ancillary copyright EU law. One can’t help but get the impression that the excesses of the Commission proposal were inserted only to be able to later present the German version as a saner “compromise”. Replicating the failed German law Europe-wide is not a “compromise” – it’s a folly. So why does the industry want a failed law? We have them on record admitting that the plan is not to rectify an injustice or earn extra money: The intent is to break the web and kill innovation, in an effort to turn back time and re-establish control over how we discover news online. The sensible alternative to this attack on the internet is still the “presumption rule” that the Bulgarian Presidency wants to take off the table: A law that would help publishers enforce the copyright of articles they publish without restricting linking. The Bulgarian Presidency is also trying to push through the other controversial copyright expansion plan, the proposal to have all our uploads surveilled by censorship machines (Article 13). Instead of questioning the automated upload filters, which threaten fundamental rights, they are pushing to include in the law a new definition of what “communication to the public” means, and thereby what constitutes copyright infringement. This would be a radical change to how copyright works on the internet, without having properly considered the consequences. 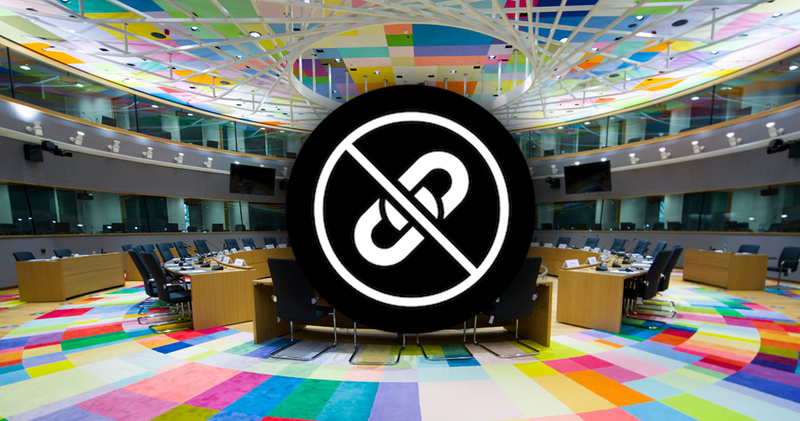 In the European Parliament, members of all political groups have rejected upload filters. Some member states have voiced similar reservations. They must not let the Bulgarian Presidency get away with taking the sensible way forward off the table. There’s still time to lobby your government and raise local public awareness about these plans!